After almost 25 years of marriage, Douglas Peterson’s wife, Connie, tells him she’s thinking of leaving him. Not necessarily planning too, just thinking about it. She will, she tells him, make her decision after they return from their “grand tour”, a trip across Europe with their son Albie who will soon be heading off to college. Unsure what else to do, Douglas decides to use the trip to save his marriage – and rebuild his relationship with Albie, who would rather be Ibiza and barely acknowledges his fathers existence. The trip starts badly, gets better, gets worse as Connie can’t seem to decide what she wants and what makes her happy. She and Albie both seem to hold Douglas with contempt and make fun at his expense. It’s hard to know their true feelings as the story is told by Douglas who is still very much in love with Connie. Still, I found it hard to warm to her or her son. In fact, I found them to be incredibly unfair to Douglas. Connie I felt had put them in a very awkward position and should be more understanding of Douglas’ desperate attempts to do the right thing. Albie I forgave because he was 17, full of teenage angst, and who would want to travel round Europe with warring parents? Though warring might be too hard a word. Connie is hot and cold, critical of Douglas and vague about what she wants. Douglas is clear – he wants Connie, has always wanted Connie. That might be part of the problem. As he tells the story of their trip, he also tells the story of their past, their courtship, their marriage, the last 25 years. It becomes clear Connie chose him because he was different from her previous relationship. It wasn’t that she didn’t love him but I did wonder if he was ever “the one”. Time and again it seems Douglas tried and failed to make her happy. He isn’t the most exciting man, he admits it, and Connie obviously seems to be missing that. In fact, he seems very aware of a lot of failings and tells you about them. I started to wonder myself what Connie saw in him. And I couldn’t quite believe he hadn’t seen how unhappy she and Albie both say she was. But then, this is a book about relationships and the fact that married life is never that simple. It isn’t always the happy ending but the beginning of a long and often bumpy road. I appreciate and understand that and think there is an honesty about that in this book. Then, Albie decides he really can’t spend another day with his parents and heads off on his own, Connie decides she wants to head home too, leaving Douglas with a decision to make. Head home to break up with his wife or follow his son and try to make amends. He decides by doing the latter he might be able to win Connie back so heads out on his own. It’s when he does this, that I started to warm to him. He stops being quite the stickler and rule maker and begins to live a little, still full of self doubt but perhaps a little less under the thumb. All the way along, I wondered if there would be a happy ending. I hoped there would because I had come to like Douglas and root for him. At the same time, I hoped there wasn’t as it felt like it wouldn’t be the true ending if Douglas and Connie were a real couple. 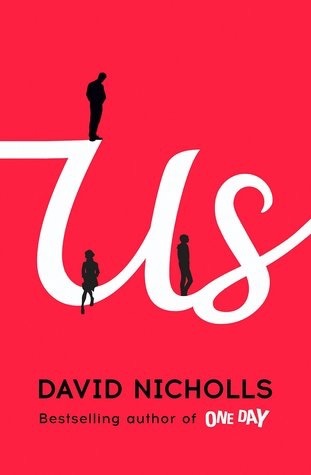 I think David Nicholls does a really good job of finding the balance and the ending worked for me, though I still think Connie got off lightly. I also like the way Nicholls writes. His style is easy to read with lots of one liners and dry observations on married life (and life in general). The moving between past and present and across Europe is well done through the use of short chapters with titles which provide an insight into what is about to happen. Douglas is well drawn as an older, slightly stiff, man completely at sea. I wish I had understood Connie more but as this story is told by Douglas that can’t happen. It would be interesting to hear her version. So, all in all a good read and recommended.